Driving a van or a car on Business without having it 'signed' is a promotion opportunity missed. 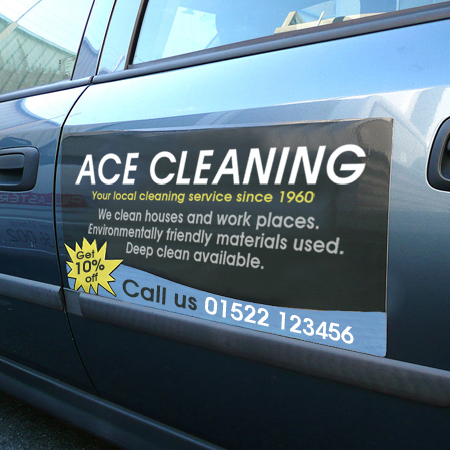 But, a complete Vehicle Wrap or painted signwriting is permanent and cannot be removed for leisure or social visiting. Magnetic signs are a fantastic solution to this. What is the size of your Magnetic Sign?